Does this sound familiar to you? You get up and check your inbox for sales or new sign-ups to see nothing came in while you slept. You head on over to your favorite traffic exchange and start surfing for hours on end to build up credits in the hope that some other surfer will join the opportunities you are promoting, all the while thinking: "There must be an easier way to get quality traffic." When it comes to marketing on-line, the overwhelming majority of marketers lack the 3 most crucial components needed for success. That is: A huge mailing list, Quality traffic and a way to measure your results. When you create your free account today, you will be placed under your sponsor in what we call a traffic line. The first 2 people you refer (This can be done automatically by simply using your account as directed), will also be placed under your sponsor. You are now qualified to start your own traffic lines. This site and program is absolutely amazing, and the only thing that stops me rushing in and spending all day setting it all up is my age and slowness ..... 78. I get blown away every time I discover more of the thought and planning that evidently went into it. Thank you for this.. I am working on it !! Graham Smith. UK. As your traffic lines continue to grow, so will your mailing list. In your back-office you only have to click a button to export all of your down-line members into a CSV file for easy import into your favorite auto-responder. And, because you can only ever be in one person's traffic line, it also means you will only end up on one person's mailing list. Even if you are a newbie just starting out and don't have an auto-responder yet, we have you covered too. Every 10 days you can message your entire down-line comprised of all the members in all of your traffic lines. Remember, each time you directly refer someone you start a new traffic line that will keep doubling forever, adding more and more contacts you can message on a daily basis. When you do get your own auto responder, just click the export button in your back-office to export all your contacts, ready for import into your new auto-responder account. Without link tracking, you will always be asking yourself: "Am I getting clicks on my banners? What about my forum or email signature? Is this safe-list or shared mailer really effective?" What about comparing the effectiveness of different email signatures or split testing versions of opt-in pages? Your account comes complete with a URL shortening and tracking service with unlimited campaigns and clicks. Every time one of your tracking links are followed we will record the information so you can analyze it in your back-office to determine where you are wasting your time and / or money. We also made it easy to track multiple advertising sources. Rather than creating a new campaign for every source you want to track, you only have to create one campaign and then simply append a keyword identifiable to you to the end of the tracking link we give you. We have created the ultimate traffic tornado that will only get bigger and bigger as time goes by and it can never be stopped. Remember how we said we call the down-lines you start traffic lines? Well, every time a tracking link belonging to someone in any of your traffic lines are followed, on the way there, your campaigns will be rotated and one of your links will also be seen. To put this into perspective, if you have three traffic lines with 2 people in each and just 1 of their campaigns are followed 10 times as day, it means your links will also be seen 60 times every day. And when those 6 members in your traffic lines make their qualifying referrals which end up in your traffic lines, this figure jumps up to 180 times your links will be seen each and every day. And this is for just 1 link! This continues indefinitely. Just imagine for a moment the amount of traffic you will get in a week, month or a year from now as your traffic lines continue to double. Not only did we create a fantastic set of marketing tools for you, we also created a robust income plan where even free members can earn commissions. 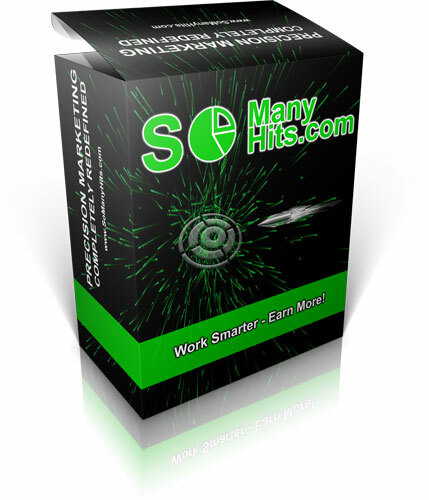 With recurring commissions, second tier commissions and performance bonuses, you will be hard pressed to find a better paying opportunity online! Earn By Just using Your Account! Earn $350 during a commission run period and we will give you a bonus of $50. Earn $700 during a commission run and we will add another $100 on top of the $50 for a total bonus of $150. Earn $1000 during a commission period and we will add another $250 on top of the $150 for a total bonus of $400. Each additional $1000 earned during a commission run period will earn you an additional $400 which means go-getters can effectively earn 40% more commissions. Second tier commissions also count towards earning bonuses. For example, if you have earned $330 and you get a second tier commission of $20, you will get the additional $50 for reaching the first bonus threshold. You have Everything to gain & NOTHING to lose!